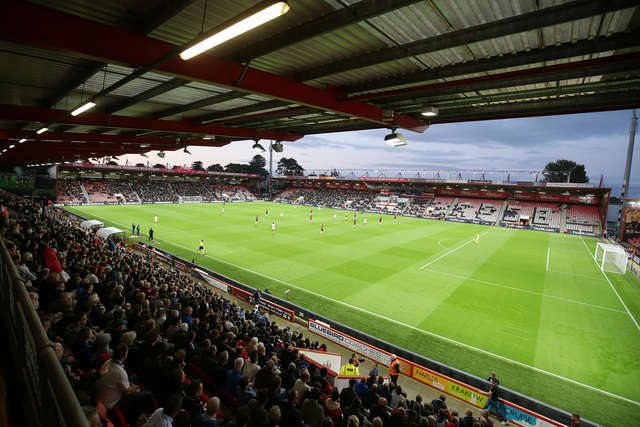 A view inside Vitality Stadium in the stands as England play Latvia in an under-21s Euro 2019 qualifier. 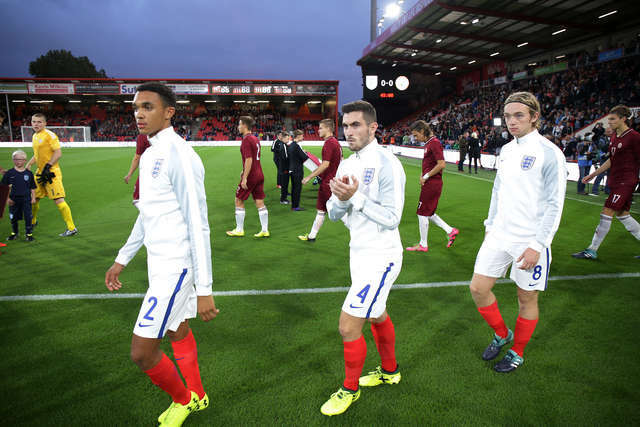 Trent Alexander-Arnold, Lewis Cook and Tom Davies walk out onto the Vitality Stadium pitch. 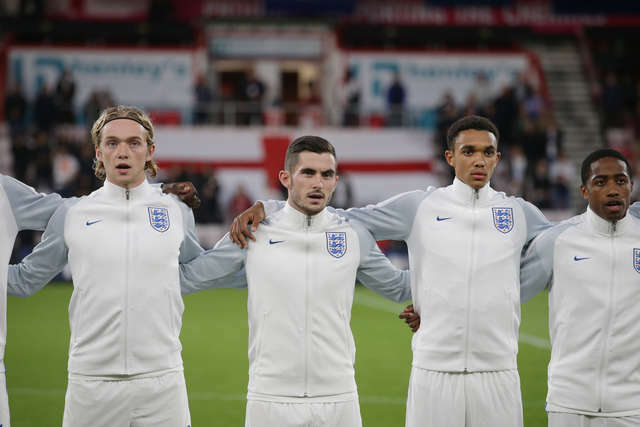 Lewis Cook sings the national anthem against Latvia prior to kick-off. 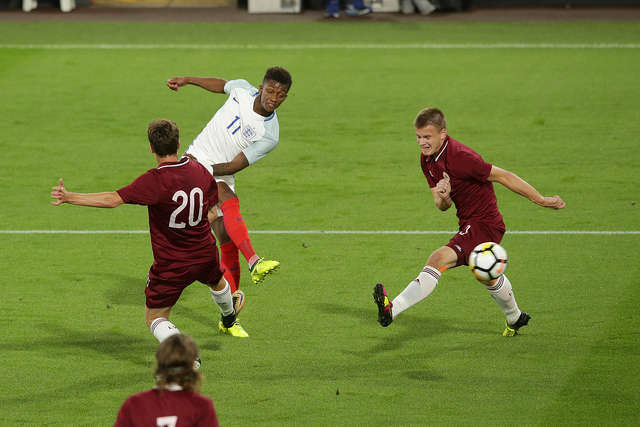 Demarai Gray shoots in the area against Latvia. 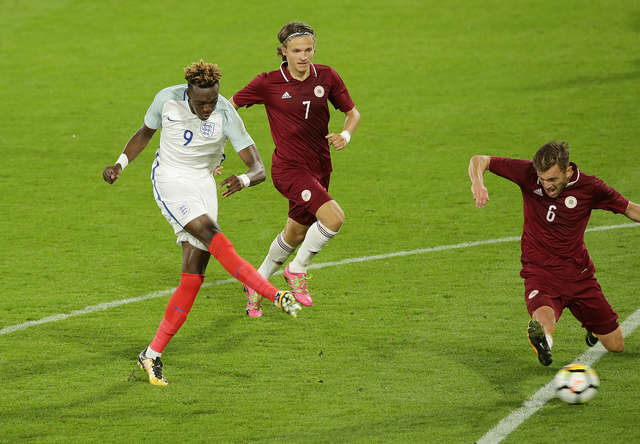 Casey Palmer scores the third goal for England against Latvia. England celebrate their third goal against Latvia. 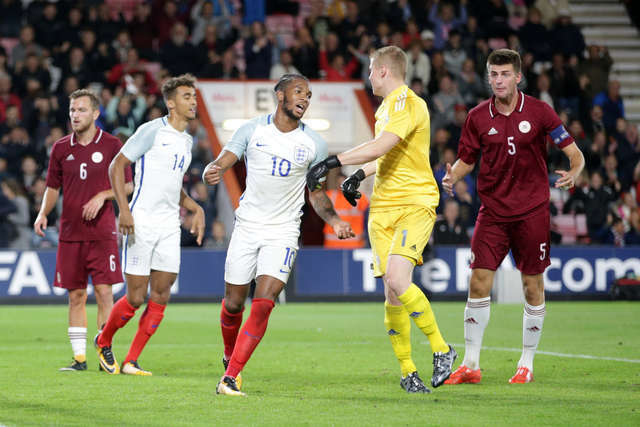 Vitality Stadium hosted the England under-21s who kick started their qualifying campaign with a comfortable 3-0 win over Latvia on the south coast. 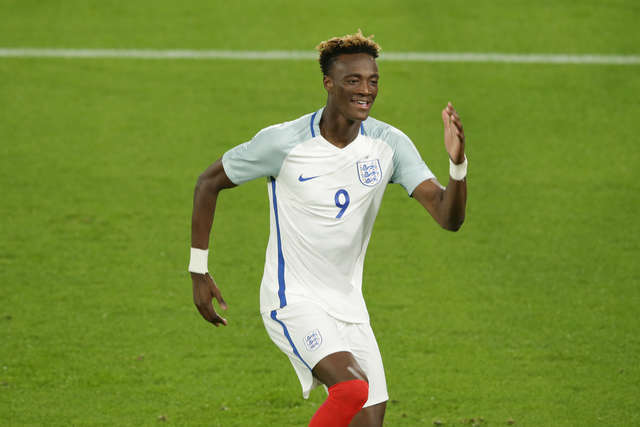 8,514 local supporters got the chance to see the future of the Three Lions who earned their first qualifying victory thanks to goals from Leicester City's Demarai Gray, Swansea City's Tammy Abraham and Huddersfield Town's Kasey Palmer. 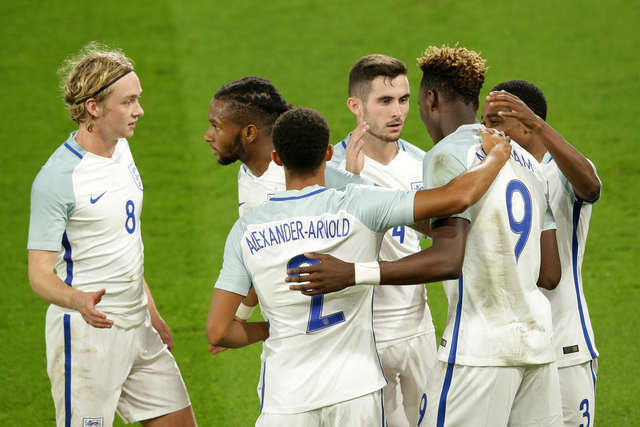 Fans also got to see the Cherries' own Lewis Cook, who anchored Aidy Boothroyd's midfield superbly in his second cap for the 21s side, having completed 90 minutes on Friday night in the 1-1 draw with the Netherlands. The Young Lions got off to a terrific start in the dominant display, when winger Gray cut inside from the left and smashed a magnificent effort high past the goalkeeper after 13 minutes. Swansea's Chelsea loanee Abraham doubled the lead five minutes after the half hour with a shot from the edge of the box which 'keeper Vladislavs Kurakins parried into the corner of the net. The second half saw England profit from another defensive mix up involving Kurakins to allow Palmer to tap in from close range which rounded off the scoring on an entertaining evening at Vitality Stadium.